A hearty blend of Oats, Red Wheat, Rye, Brown Rice, Triticale, Barley and Buckwheat all milled into a fine flour, great for making bread. 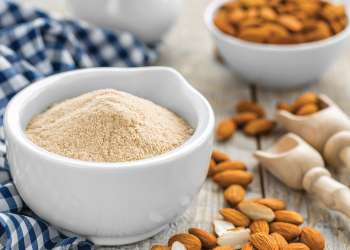 Honeyville's Multi-Grain Flour is milled from sound, scientifically cleaned and specifically selected blends of oats, red wheat, rye, brown rice and more. This special blend of flour produces hearty multi-grain breads that taste great and are highly nutritious. Our multi-grain flour is unbleached and we use only the highest quality grains to produce a premium flour. Honeyville Multi Grain Flour is an ideal product for your baking needs. Shelf-Life: Multi-Grain Flour will store for 1 year in a sealed 50 pound bag under ideal storage conditions (cool, dry place). Uses: Multi-Grain Flour can be used to make breads, bagels, muffins and any recipe that requires Multi Grain Flour. 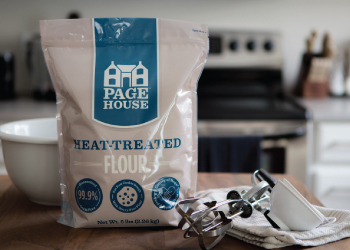 Packaging: Multi-Grain Flour in bulk is available in a 50 pound bag. Packaging may vary. Ingredients: Whole Oat Groats, Whole Hard Red Wheat, Whole Rye, Brown Rice, Whole Triticale, Whole Pearled Barley, Whole Buckwheat Groats.